In many cases, no straightforward relationship can be shown to exist between metal concentration in the tissues of a biological species and metal concentration in the soil or sediment where the organism lives. Exposure of soil- and sediment-dwelling organisms to metals can occur via (pore-) water, soil or sediment particulates, and/or via food. While uptake from and depuration to the water phase are rather well predictable, predictions of transfer rates of metals from soils and sediments to biota are less accurate. According to the BLM-model (see chapter 6), metal accumulation in fish gills can now be described also as metal desorption from particles, as a result of mucus competition and pH increase. The subsequent increase of available free metal ions will cause the observed final metal accumulation in the gills. Recent studies have demonstrated that natural organic colloids (1 nm -0.2 ¡¡m) are abundant in seawater and that a significant but variable fraction traditionally defined as dissolved metals actually is in the colloidal form. However, it is still unclear whether complexation of metals with colloidal organic matter enhance or reduce metal bioavailability. Most probably, this will vary depending on the feeding behaviour and other characteristics of the organism considered. Colloid-bound metals (like Zn and Cd) may dissociate from colloidal organic matter and become complexed by transport ligands before transfer through cell membranes. Colloid-bound metals may also be transported by lipid permeation. Given the importance of recent findings on the role of colloids in metal complexation, new models are urgently required, which consider also the transport of colloidal metals across biological membranes. Exposure of soil and sediment organisms to metals can occur via (pore) water, soil or sediment particulates and the food. While uptake from and depuration to the water phase is rather well predictable, predictions of transfer rates of contaminants from soils and sediments to biota are still less accurate. For all cationic metal species, there are two main mechanisms observed as driving forces for metal uptake in plants across the plasma membrane, i. e. the large negative electrochemical potential produced as a result of the membrane H+ translocating adenosine triphosphate (ATPase), and the transport of metal-chelate complexes. Indeed, new studies suggest that uncharged metal complexes (like CdSO4o) may exhibit lipophilicity and may be equally available to aquatic and terrestrial plants as the free Me2+ ion. There is also increasing evidence that not only organically complexed metals, but also complexes with inorganic ligands such as chloride may be taken up by plants (for more details see McLaughlin 2002). 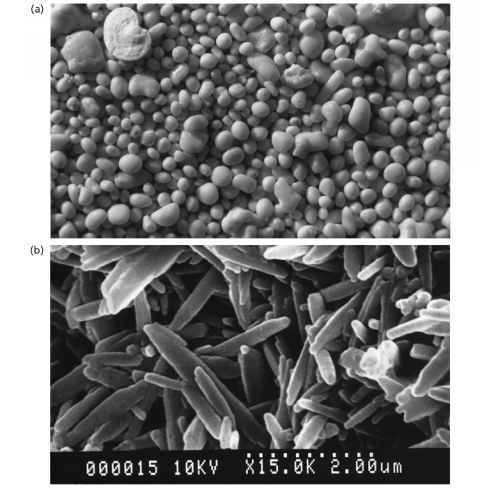 The following examples have been selected to shortly illustrate the current state of discussion regarding interactions between biota and the bioavailability of metals (see the following chapters 6 and 7 for more details). Ruby et al. (1999) gave a broad review of in-vivo studies and of the present state-of-the-art on bioavailability-predictive extraction tests. The authors state that current risk assessments of metals in soils are still based on the estimated oral toxicity, but do not take into account characteristics of metals in soils and corresponding limitations regarding their true enteric absorption (see also section 5.4.8.2). The authors stress that a more accurate risk assessment is necessary based on the metal bioavailability found in site-specific soils, relative to the bioavailability of metals administered in toxicity in-vivo studies (relative bioavailability), which are however too expensive and time consuming. They suggest a more promising alternative approach by using in-vitro extraction tests, which are supposed to be predictive of the oral bioavailability of metals from soils. These test procedures may be a more inexpensive and rapid alternative for more accurate exposure estimates, which is required in human health risk estimates. However, to account for the limited dissolution of metals from soil during passage through the gastrointestinal tract, and to derive more accurate exposure rates, it may be still necessary to assess the bioavailability of a metal in soils relative to the bioavailability of metals dissolved in water. In general, in vitro extraction tests include metal salts or metal-containing salts incubated in a low pH solution for a period that mimic residence time in the stomach. Then pH is increased to near neutral values and the incubation continued to mimic residence times in the small intestine, with enzymes and organic acids added to simulate the effect of gastric and small intestinal fluids. The finally dissolved metal fraction is supposed to represent the so-called bioaccessible fraction, which is soluble and available for bio-absorption (see also 'European Standard for Safety of Toys': Bioaccessibility of 8 metals in use since 1994 by the 18 members of the CEN to regulate the safety of toys; ref. given in Ruby et al. 1999). Mineral phases like sulfates that form more under acidic conditions tend to be more stable under the acidic condition of the stomache and so less bioaccessible, in contrast to minerals formed under more alkaline conditions, like carbonates or oxides, which are in turn more bioaccessible in the stomach environment. Oral metal bioavailability is determined by dissolution rate processes, because the metal must first dissolve to become bioavailable. As a rule, it is supposed that less soluble minerals in general dissolve by surface reaction-controlled kinetics, which in term are limited by the surface detachment of ions. On the other hand, more soluble minerals dissolve by transport-controlled kinetics where dissolution ions are rapidly detached and accumulate to form a saturation solution adjacent to the mineral surface. Consequently, the dissolution rate is controlled by the rate of ion transport away from this saturated layer. To summarize, the review by Ruby et al. (1999) revealed a good correlation between in vitro extraction tests and in vivo data (e. g. from animal tests etc.) as a relative bioavailability estimate of metals. Perhaps noteworthy in this context for the reader that a ' Solubility/Bioavailability Research Consortium' (SBRC) stakeholder group was formed in 1997 to promote the acceptance of and validate in vitro methods to estimate metal bioavailability from soils. In general, there is not a straightforward relation existing between metal concentrations in biological species and in soil or sediment, although Rai et al. (2002) very recently demonstrated that this can occur. They found a positive correlation between metals (Pb > Cr > Cu > Cd) in the edible aquatic macrophyte (crop) Euryale ferox Salisb., and metal contents in both the water and sediment. Also, in a field survey on aquatic macrophytes taken from metal-contaminated urban streams in Queensland/Australia, plant roots analyzed exhibited a higher metal load (Cd, Cu, Zn, Pb) than the ambient sediment. However, a significant pattern of increasing plant accumulation with increasing sediment concentration was only observed for Zn (Cardwell et al. 2002). Laing et al. (2002) studied the bioavailability of metals to the spider Pirata piraticus in the intertidal sediment zone of the Scheldt estuary and observed higher metal contents (Cd, Cu, Zn) in spiders at lower total sediment metal concentrations. They found a strong positive correlation between Cl- in the sediment and the metal content in spiders, as well as a strong relationship between exchangeable Zn and the Cd/CEC ratio, and the metal contents in P. piraticus. The authors resume that salinity, CEC and exchangeable metals are the most important factors for metal bioavailability in this sediment. When comparing three trace metal contaminated sites to evaluate possible changes of the existing indigenous biota, Murray et al. (2000) could show that corresponding plant metal levels (Cd, Cu, Ni, Pb, Zn) were rather influenced by soil characteristics and not by total metal concentrations in the soil. Also contrary to previous assumptions, Gray et al. (2001) found that periphyton metal accumulation studies could be misleading to indicate ambient water levels, when conducted in systems where ferromanganese oxide concentrations are elevated, due to the metal-sorbing potential of Fe and Mn oxides coexisting within the periphyton matrix. Similarly studies conducted by Behra et al. (2002) confirmed that the metal content in periphyton may not be a straightforward measure of metal contamination and bioavailability. Their results proved that non-exchangeable (intracellular and so not adsorbed) Cu and Zn concentrations in periphyton may occur at least in one river, where periphyton metal concentrations did not reflect dissolved metal contents (see section 5.2.1). Klerks and Fraleigh (1997) conducted shortterm uptake experiments with Ni and Zn radioisotopes and the zebra mussel Dreissena polymorpha. Despite a low affinity of Ni for particulates, the uptake of particulate Ni was significant although less important than the uptake of dissolved Ni. The uptake of Zn by the mussel varied from only dissolved Zn uptake to only particulate Zn uptake depending on the composition of the suspended particulate. Also, Zn uptake was higher in high turbidity water. Yet, half of the accumulated Zn was excreted again after 24 h, while Ni was not excreted at all. So most of the Zn was biodeposited as feces, while most of the Ni remained bioaccumulated. One conclusion drawn from this study was that tissue levels used in biomonitoring programs may reflect both dissolved and particulate metal levels, but also the capacity of organisms to adapt to certain trace metal levels (see section 7.3). MacFarlane and Booth (2001) admit that natural differences in the physicochemical composition of the sediment may be main determinants for the prevailing macrobenthic species assemblages in estuarine creeks, where metal levels have been found below existing sediment quality guidelines established to predict biological effects. But biotic assemblage patterns are not maintained temporally, why monitoring over time becomes necessary. Their study strongly emphasizes the obvious difficulty in relating macrobenthic responses to low-level contamination at the community level. Tao et al. (2002) exposed fish (carp) to Cu adsorbed to kaolin particles at various concentration levels. They determined Cu adsorption affinity constants with varying pH and used the obtained experimental data to quantitatively model the relationship between affinity constants and pH by a speciation code (MINTEQA2). Their modelling results showed that the observed Cu accumulation in fish gills was due to a desorption of this metal from kaolin particles, as a consequence of mucus competition and a slight pH increase. The increase of available Cu was supposed to finally cause the observed Cu accumulation by the gills (cf. chapter 6). Recent studies demonstrate that natural organic colloids (1 nm - 0.2 ^m) are abundant in seawaters and that a significant but variable fraction of traditionally defined dissolved metals is in the colloidal form. However, it is still unclear whether complexation of metals with colloidal organic matter enhance or reduce metal bioavailability. In previous studies, the dissolved metal phase was defined as the fraction passing through a 0.45 ^m membrane and thus included also colloidal metals. Wang and Guo (2000) examined the bioavailability of colloidally complexed Cd, Cr and Zn to two marine bivalves (green mussel Perna viridis and clam Ruditapes philippinarium) by means of radiotracer and ultrafiltration techniques to measure metal uptake from the colloid phase. Their experiments showed that the influence of metal complexation with colloidal organic matter varied among metals but was highly ligand species specific. Cr considered as a transitional metal prefers to bind in general to O-containing ligands, while Zn (and Cd) as transitional type B metal prefers to bind to S-containing rather than N- and O-containing ligands. Zn bioavailability was almost completely inhibited by its complexation with high molecular weight dissolved organic matter (HMW) compounds, in agreement with recent studies, in which colloidal complexation reduced Zn bioavailability to both phyto- and zooplankton. In contrast, Cr(III) showed an increase of the bioavailability to mussels when associated with HMW colloids, although a further increase of organic colloids reduced again its uptake. As most Cr was in the form of colloidal complexes, the higher uptake may be due to an increased sorption onto the bivalve's tissue or direct uptake through pumping of colloidal particles (ingestion). However, total uptake (on a dry weight basis) was highest for Zn (and Cd) maybe due to different binding affinities of these metals with SH-containing compounds, e. g. protein ligands (presumably membrane transport proteins) in the marine bivalves. The authors hypothize that colloid-bound metals (like Zn and Cd) may dissociate from colloidal organic matter and become complexed by transport ligands before internalization. They further speculate that due to the amphiphillic nature of colloidal organic matter, colloid-bound metals may also be transported by lipid permeation. About > 60 % of Zn was found in the mussels' soft tissue, and about 20 and 10 % in the shell and digestive gland, respectively, independent of the colloidal organic carbon content. In contrast, Cr was almost evenly distributed among the shell, digestive gland and the remaining soft tissue. A much higher percentage of Cr, Zn (and Cd) was associated with the shell of the clam. Only about 20 % of Cr (and Cd) were in the remaining soft tissue and digestive gland. The authors concede that it was difficult to maintain all the radiolabeled metals in the colloidal form during the exposure period and that re-partitioning/desorption of radiolabeled metals from the colloidal phase to the truly dissolved phase can not be avoided. It is summarized that colloidal complexation may reduce bioavailability of certain metals (e. g. Zn) due to a decrease in free or inorganic metal concentrations. In turn it may increase bioavailability for some metals (like Cr) due to surface sorption or ingestion by filter feeding animals. Given the importance of recent findings on the occurrence of colloids in metal complexation, new models are urgently required, which consider also the transport of colloidal metals across biological membranes. There is sufficient evidence that significant accumulation differences exist between different taxonomic groups. For this reason, risk assessment methods need more information on feeding behaviour of exposed organisms. Heikens et al. (2001) calculated regression equations based on total soil and body concentrations for various metals and various taxonomic groups of invertebrates. They found that the internal metal load increased with soil metal concentration for most taxonomic groups in the order: Pb > Cd > Cu, in contrast to the Zn body load, which remained rather constant over the observed range of soil metal concentrations, indicating an adaptive uptake mechanism of the exposed animals. The use of microbial biosensors has been increasingly proposed as a practical alternative to chemical speciation to assess metal bioavailabilities, also due to lower operational costs (Flynn et al. 2002). Madoni (2000) reported a freshwater ciliate, Spirotomum teres, which may serve as an excellent bioindicator for toxic metals, in particular for nickel. In contrast, Gundacker (2000) reported that the high environmental metal load found of Danube harbours was poorly reflected by sediment bioindicator species. Also 'gastropods' showed a 20-fold higher Cu concentration than bivalves, suggesting a higher Cu regulation capacity of the latter. Due to their closer sediment association, bivalves seem to be more appropriate to reflect Cu concentrations in fine-grained sediment fractions. A review of studies using bivalves as sentinel bioindicators in marine sytems impacted by trace metals was given recently by Boening (1999). Tibazarwar et al. (2001) report the use of a bacterial strain (Ralstonia eutropha AE2515) as highly selective for Ni (and Co) in soil, and suggest its use as biosensor to quantify Ni (and Co) bioavailability, accumulation in agricultural crops and transfer (of Ni and Co) to higher trophic levels.